Working together for beautiful teeth and gums. Everyday life can have a negative impact on the color of our teeth. Stains from common foods and drinks can leave your smile dull, which can lead to embarrassment. The good news is that our cosmetic experts can remove these stains and whiten your smile using Opalescence. This modern whitening system can brighten your smile by several shades, leaving you with renewed confidence. The Opalescence whitening trays are custom-made to fit your smile. The trays are filled with a safe, effective whitening gel and applied to your teeth. The gel gets to work by removing any stains and whitening your teeth to your pre-determined shade. Our offices provide both in-office and take-home whitening kits for a full experience that keeps your smile white for longer! Do you dislike your smile? Are you unhappy with the color, size, or shape of your teeth? Dr. Katris and his team have created a predictable way to change the size, shape, and color of teeth. Beautiful, high-quality porcelain veneers can repair your worn, broken down, and discolored teeth so you can smile with confidence. Veneers are thin shells placed over your natural teeth. They are fitted over your teeth to provide a straightened, whitened, and more aesthetically pleasing smile. Our veneers are created using the beautiful and durable material, porcelain. This material mimics your natural white teeth and can be shaped to fit your smile. Your cosmetic dentist starts the process by “etching” your natural teeth, i.e. making room for the veneers. Next, we take an impression and our partner lab creates your custom-made veneers (to your specifications). Once returned, we remove the temporaries and place your new veneers. Our dentists make any adjustments and the finally bond the veneers to your teeth. The end result is amazing as you enjoy a stain-free smile! Dr. Katris uses his many hours of continuing education and advanced techniques to revolutionize our patients’ smiles. In fact, our cosmetic dentist finds great satisfaction in making amazing smiles by carefully and conservatively layering composite onto natural teeth. This brings us onto how teeth bonding works. Dr. Katris or one of our skill dentists will begin by cleaning your natural teeth. Next, he or she applies layers of tooth-colored composite resin to the affected teeth. As the layering process continues, we shape the resin and once complete harden it using a special light. This allows us to show you your newly shaped and whiter smile. Once you are happy with your new smile, our doctor polishes your new smile so that it glistens. Dentistry continues to move forward, and one area of particular progress is laser dentistry. Our Carol Stream and Elgin offices pride themselves on the use of innovative dental technology. One way we do this is through the use of diode lasers for gum reshaping. These lasers gently remove excess gum tissue allowing your cosmetic dentist to lengthen your teeth or straighten your gum line. Laser dentistry is also used in our periodontics procedures as it prevents bleeding, speeds up the healing process, and allows for less chair time. Enjoy a safer, better, and more precise dental treatment with laser dentistry in both Elgin and Carol Stream, IL. "I've been going to Carol Stream Dental Associates for over three years. 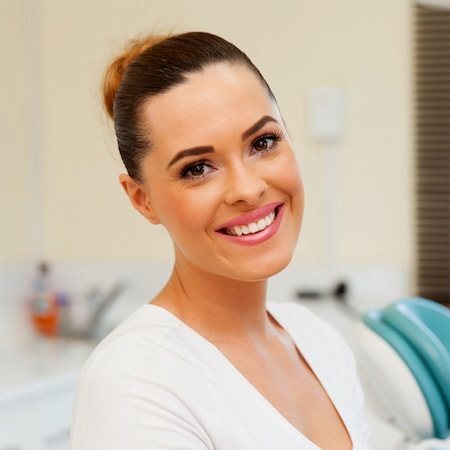 As someone with a huge dental phobia, it is a great relief to have dental care from such a great, understanding, professional, and knowledgeable practice. I have been seen by both Dr. Kim and Dr. Katris; they both provide world-class care. " Our in-house orthodontists can discreetly and gently straighten your teeth. Both of our offices have their own orthodontics specialist who has completed extra dental education and advanced training. Each of our orthodontists specializes in aligning your smile and correcting your bite. They use their 25 years of experience to provide the best treatments to meet your individual needs and use modern techniques including the Damen system, TADS, Invisalign®, and ClearCorrect®. At our Elgin office, we provide a discreet yet effective tooth alignment system called Invisalign®. 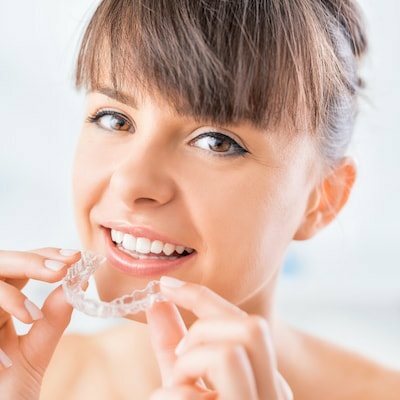 This modern system uses clear aligners instead of metal brackets and wires to straighten your teeth. Our orthodontist, Dr. Patel, uses computer-design technology to take digital impressions of your teeth and then uses the Invisalign® software to show you the potential for your smile. New clear aligners are replaced every two weeks as they gently move your teeth into position. Invisalign® has proven very effective without having any negative impact on your lifestyle. In fact, you can remove your aligners to eat your favorite foods – and brush your teeth too! ClearCorrect® is a clear aligner system used to straighten teeth in our Carol Stream office. 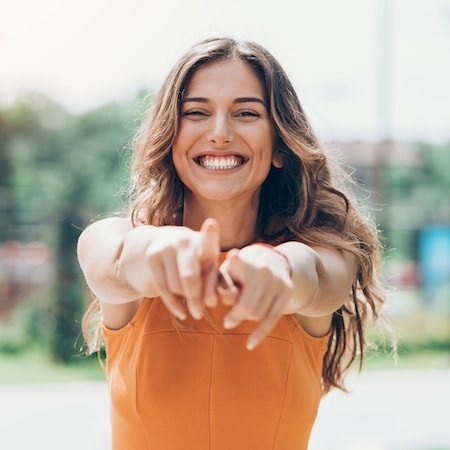 Our board-certified orthodontist, Dr. Valente uses this modern approach to align your smile and correct common bite issues. After taking impressions of your teeth, the ClearCorrect® lab will create a 3D model of your mouth and design a series of clear aligners to gradually move your teeth into position. The aligners are worn during a three-week period and are then replaced. ClearCorrect® offers a few treatment options, which will be discussed during your consultation with Dr. Valente. If you suffer from crowded teeth, spacing between your teeth, or a crooked smile you could benefit from the power of ClearCorrect®. Experience this innovative, discreet, and comfortable aligning solution.